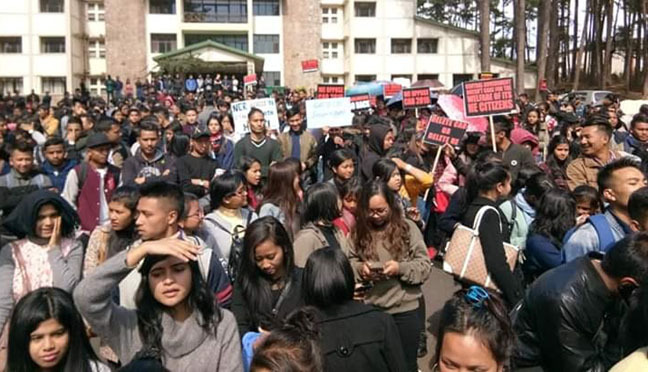 The Khasi Students’ Union (KSU) on Wednesday evening took out a ‘victory rally’ in Shillong after the attempt of the BJP-led NDA government to pass the Citizenship (Amendment) Bill, 2016 in Rajya Sabha was stopped. KSU activists took out a car and bike rally in Shillong city to celebrate the failure of the BJP to table the Bill in Rajya Sabha on Wednesday. HYC president and chairman of CoHSO, Robertjune Kharjahrin said that the Confederation was happy as the Bill was not tabled in Rajya Sabha and thanked the people of Hynñiewtrep and the whole North East for standing against the Bill. Kharjahrin thanked all NGOs, MPs, chief ministers, ministers, MLAs, MDCs, political parties and others for opposing the Bill. “The win over the CAB and the BJP is only a small victory. The biggest war is the war that we have to fight to preserve the identity of our indigenous Hynñiewtrep people. As indigenous community, we have to wake up to protect ourselves by having a strong law like the ILP, NRC and other laws. Time will come that any big party, be it the BJP or other parties that come to power may again try to crush us. Therefore, we remind the government that it should implement ILP, NRC and other strong laws immediately in the state,” the CoHSO chairman said. 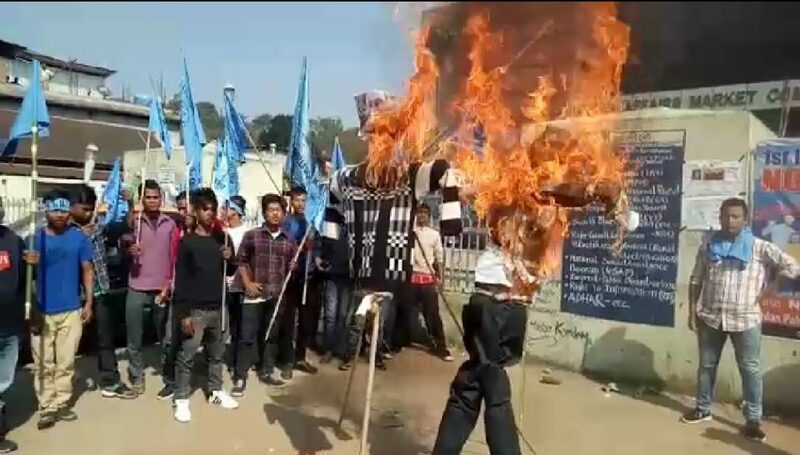 The protest rally was organised by a Joint Action Committee (JAC) led by the North Eastern Hill University Students’ Union (NEHUSU) and North Eastern Hill University Teachers’ Association (NEHUTA). The Khasi Students’ Union – NEHU unit, All Assam Students’ Union (AASU) and other students’ bodies supported and joined the protest. As the Bill was not tabled in Rajya Sabha, the JAC also called off its sit-in protest proposed to be held on Thursday.